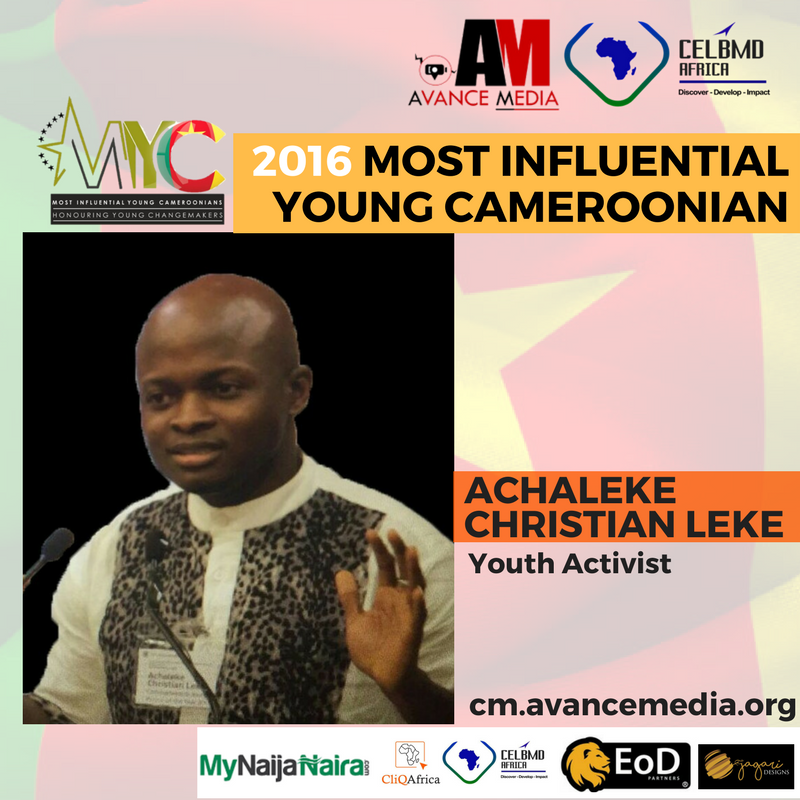 Youth civil society activist and peace advocate, Achaleke Christian Leke has been voted the 2016 Most Influential Young Cameroonian in a ranking poll organized by reputed rating establishment, Avance Media & CELBMD Africa. Achaleke, who was a victim of radicalization and violence, transformed himself to become an ambassador of peace and change currently with international reputation. His youth peace building training manual and video documentary has also empowered thousands of young people both in Cameroon and abroad. Public votes which drew participation from over 110 countries across the world also endorsed Arthur Zang, Mambe Churchill Nanje, Alain Nteff and Etta Rita among the top 5 young Cameroonians who have built impact across the Cameroon and beyond. Etta Rita, a young lawyer who also works with NGOs in empowering young people across Cameroon also got voted the most influential young female personality. MD of Avance Media, Prince Akpah extended his appreciation to all who participated in the polling process and encouraged young Cameroonians to take a clue from the lifestyle and inspiration stories of these young achievers who are defining youthfulness in Cameroon and beyond. COO of the rankings, Javnyuy Joybert shared: This ranking and award is one of a kind in Cameroon which is an amazing encouragement platform for outstanding young Cameroonians who have dedicated their time, resources and creativity to take this country to the next level. 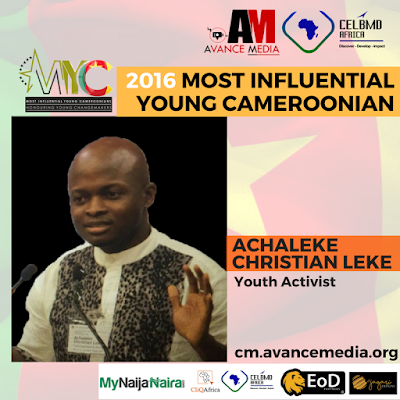 The 50 Most Influential Young Cameroonians ranking is an initiative of Avance Media & CELBMD Africa in partnership with www.reputationpoll.com, EOD Partners, Jagari Designs, My Naija Naira, Dream Ambassadors Foundation GH, iCare Hub Africa, Global Skills Exchange, Core Foundation and Project Know Thyself International. Young People: LETTER TO Cameroonian YOUTHS! 3 “Es” EVERY CREATIVE ENTREEPRENEUR MUST MASTER FOR BUSINESS GROWTH.